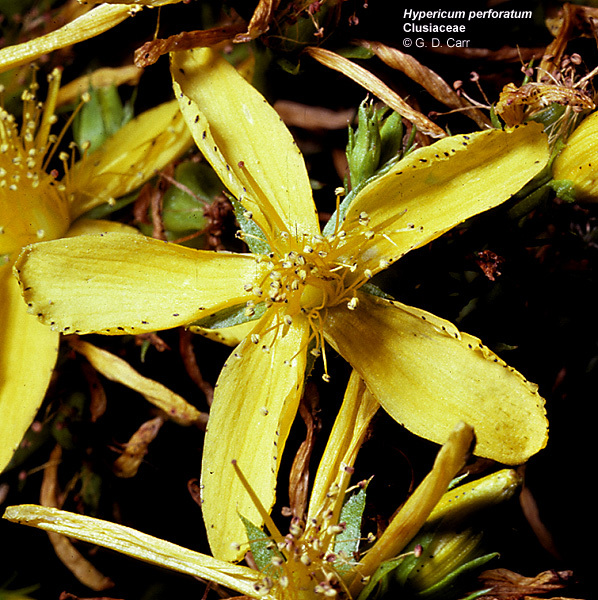 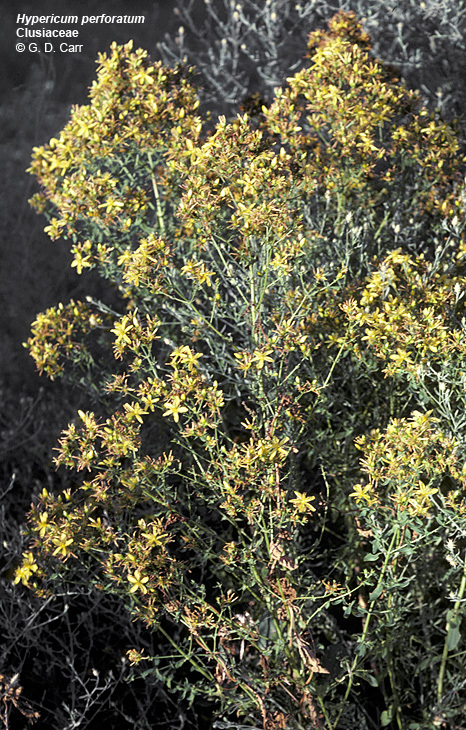 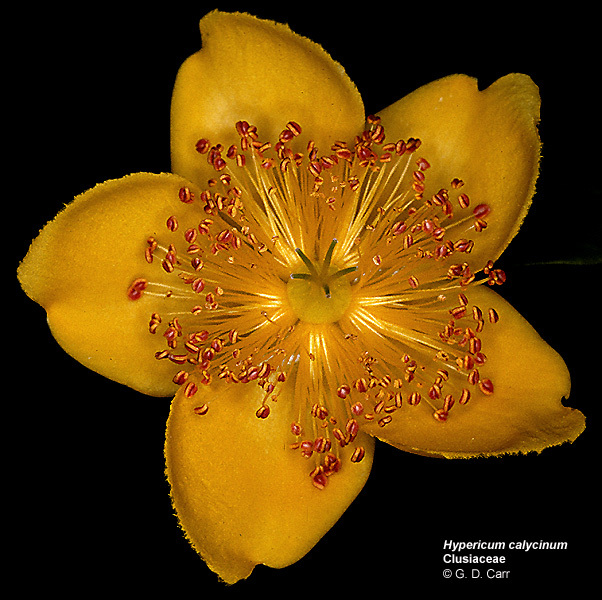 Hypericum calycinum. 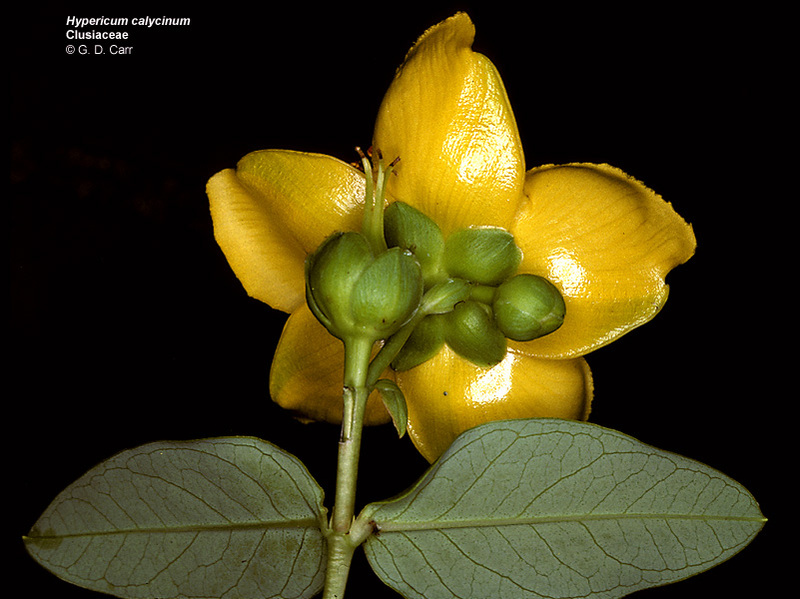 This temperate representative of the family lacks a milky or brightly colored latex and has bisexual flowers. 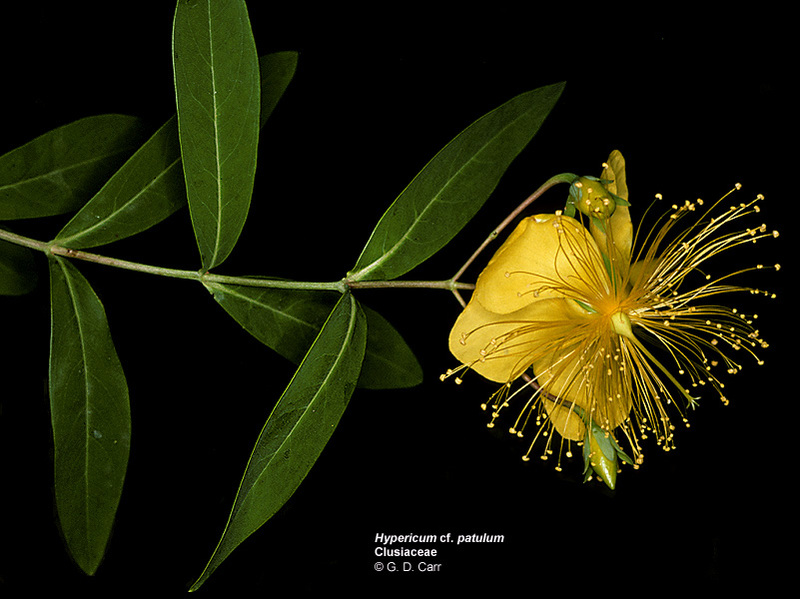 However, the floral details are otherwise typical for the family.